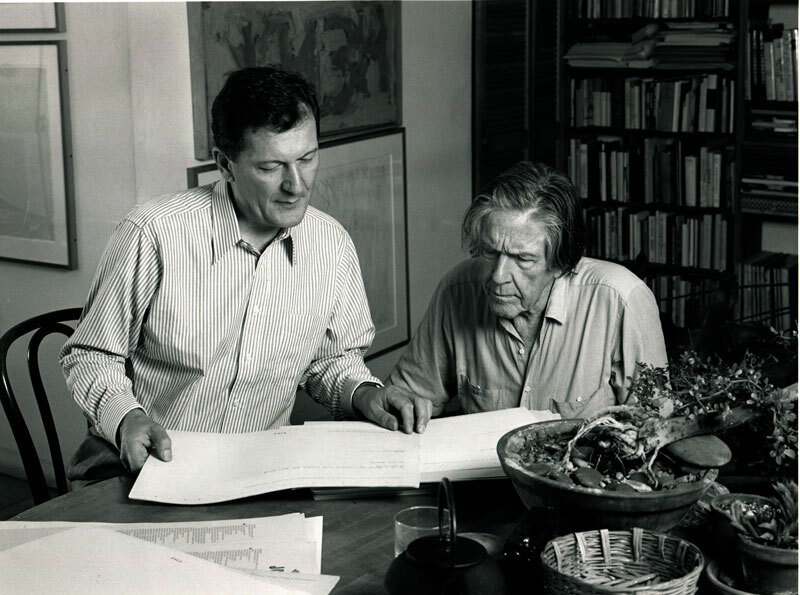 John Cage would be 100 this year and many events have been held to honor the man and his work. On the occasion of the Beyond Cage festival being held in New York this fall, David Weinstein spoke in the studio with composer, conductor and event producer Petr Kotik and pianist Ursula Oppens. They were joined by composer and Cage confidant Christian Wolff on the telephone. All three had strong and direct connections to John Cage and all three are providing work for the festival. Insights, anecdotes, technical secrets revealed, and musical illustrations including the rehearsal of the new Wolff orchestra piece. The Beyond Cage festival is presented by the S.E.M. Ensemble in New York City froom Oct. 22 – Nov. 7, 2012. Highlights include large-scale works by Cage, including Atlas Eclipticalis, Winter Music, and his last orchestra work, 103, plus Freeman Etudes and Music of Changes; Morton Feldman's Violin and Orchestra and Flute and Orchestra; Christian Wolff's "individuals, collective"; works by Roscoe Mitchell, Alex Mincek, and Kate Soper, Salvatore Sciarrino, Earle Brown, Petr Kotik, Christian Marclay, Luigi Nono, Karlheinz Stockhausen, and James Tenney. Concerts take place at venues around the city. For a complete schedule go to semensemble.org.